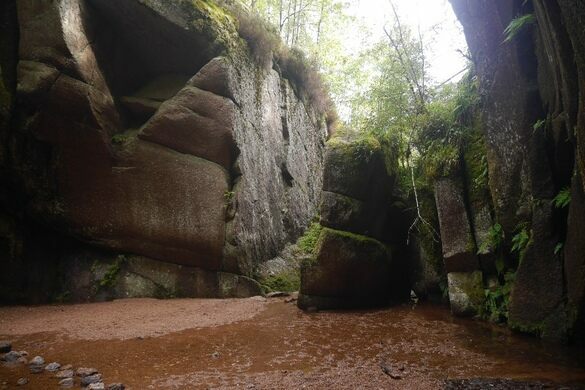 A loop trail through the Muir of Dinnet National Natural Reserve will treat hikers not only to a tranquil exploration of the Aberdeenshire countryside, but also to a geological curiosity that has attracted interest—innocent and nefarious alike—for hundreds of years. 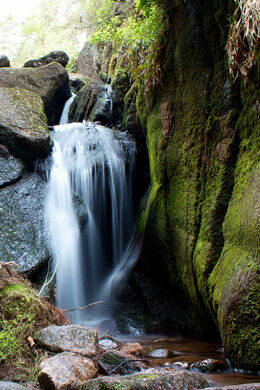 Burn O’Vat was formed approximately 14,000 to 12,000 years ago by meltwater from a retreating ice sheet. 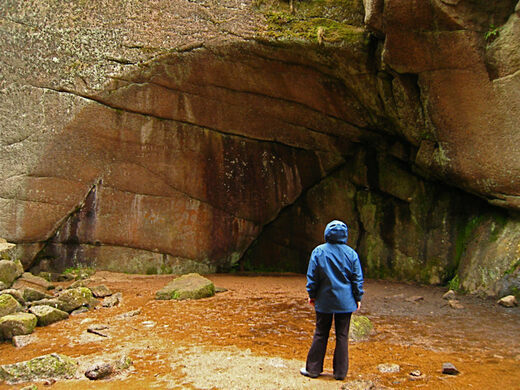 Known locally as “The Vat,” this glacial pothole is thought to have formed when a rock became lodged in the river bed causing a torrent of water to spiral around and carve out the underlying granite bedrock. 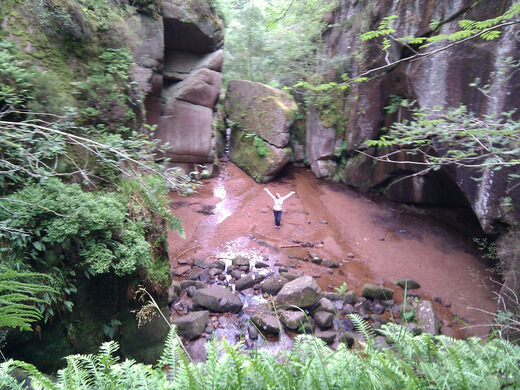 Measuring 13 meters (42 feet) deep and 18 meters (59 feet) wide with a sediment bed estimated at up to 7 meters (23 feet), the bowl is accessed via a narrow stream passage that suddenly opens up into a natural amphitheater. 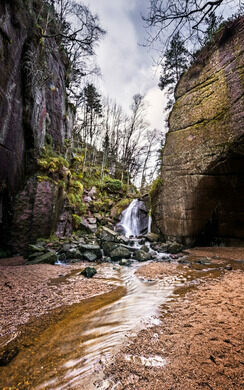 The Vat has been a popular visitor attraction since the Victorian era, probably due to it’s location on Royal Deeside. Local legend has it that the Vat provided sanctuary to the famous Scottish outlaw by Rob Roy Macgregor. While this is mere myth, it has been established that it was used as a hideout from authorities by notorious bandit Patrick Gilroy Macgregor, a 17th-century cattle thief and general roustabout. The hike to the Vat also affords glimpses at a variety of flora and fauna, along with some other examples of glacial morphology. Easiest access is by car with ample free parking. The nearest public transport is the Stagecoach Bluebird service 201 which stops at Dinnet. The visitor centre is an hours walk. Access to the Vat is by path of varying standards, care to be taken accessing the Vat especially at high water.